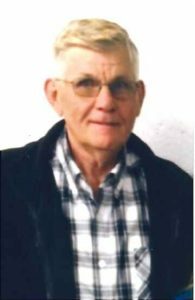 Duane Sawyer, 70 of Leigh, died Sunday, June 5, 2016 at Bryan LGH West hospital in Lincoln. Duane was born November 21, 1945 at Genoa, Nebraska to Randolph “Tom” and Frances (Kamin) Sawyer. He attended school in St. Edward and graduated from St. Edward High School. On October 14, 1966, he was united in marriage to Connie Long in Madison, Nebraska. Connie passed away May 16, 1991. On November 14, 1992 Duane was united in marriage to Ethel. Duane had previously worked for the city of Madison in the light plant, and was currently a truck driver for Cooperative supply of Leigh. He was also a wool buyer for Mid States wool growers Corp. for 35 years. Duane is survived by his wife Ethel of Leigh, Children: Robin (Kevin) Coan of Platte Center, Shawn (Robyn) Sawyer of Madison, Cristi (Alan) Krupka of Howells, Becky Glinsmann of Leigh. 13 Grandchildren, Makayla, Megan, Dylan, Kole, Aspen, Evan, Samantha, Hunter, Miah, Nessa, Adyson, Xander and Olivia.